This page contains additional resources for the Theories of Change class. What is a Theory of Change? : The video below from Social Investment Business, UK provides an overview of what a theory of change is and why it is important in order to measure impact, particularly in the social change sector. 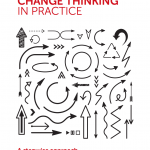 Theory of Change Toolkit: The Nesta toolkit for building a theory of Change can be found on their website. Cynefin Framework: In the 2 videos below, Dave Snowden introduces his Cynefin Frameworkfor sense-making, problem analysis, decision making and project management. Post Normal Science: Post Normal Science is a new conception of the management of complex science-related issues that can be a useful approach to problem solving. Post Normal Science focuses on aspects of problems solving that tend to be overlooked such as: uncertainty, value loading and multiple legitimate perspectives. It is particularly useful when designing for complex systems. The Commons Explained by Coley Curry, graduate student at Arizona State University, working towards her MFA in dance. Winner of the Commons Video Contest organized by the International Association for the Study of the Commons in November 2018. This page contains additional resources for the Introduction to Socio-Technical Transitions class. What is the MLP: this video explains the multi-level perspective of examining socio-technical systems using a car as an example. The video below is a brief account of how the multi-level perspective can assist transitions to sustainability. Using the transport system as an example, the diagram and table below show how design and its sub disciplines are embedded within socio-technical systems. The video below explain the Multi-Level Perspective using the analogy of a tree and its surrounding environment. This page contains additional resources for the Types of Socio-Technical Transitions class. In the videos below, Gill Seyfang of the University of East Angia, UK explains Socio-Technical Transition Theory and Professor James Meadowcroft explains the term ‘socio-technical’ transitions and how these emerge and change over time. In particular he discusses how the design of policy and governance plays a critical role. It is critical that Transition Designers understand the anatomy of large socio-technical regimes in order to help seed and catalyze their transition to more sustainable states. This page contains additional resources for the Mapping a Sociotechnical Transition class. The video below give a very clear explanation of the Multi-Level-Perspetive and Socio-Technical Regime Theory. Videos below provide an overview of capitalism (our existing economic paradigm that many argue is inherently unsustainable) and provide an overview of concepts such as ‘The Circular Economy’, how social media networking/sharing is opening up possibilities for alternative economies and modes of sharing. In the video below, Rob Hopkins makes the case for ‘Transition Towns’ one of the most important strands in the transition movement. Transition Towns work for the development of communities that are resilient enough to withstand external perturbations such as economic downturns, peak oil and climate change. This involves, for example, creating localised energy, monetary and food systems and fostering local business. Below are two videos on the Circular Economy, https://www.ellenmacarthurfoundation.org/circular-economy, which, according to the Ellen Macarthur Foundation, aims to keep products, components, and materials at their highest utility and value at all times [which] enhances natural capital, optimises resource yields, and minimises system risks by managing finite stocks and renewable flows”. Business strategist Don Tapscott outlines ways in businesses specifically and the economy in general need to transform in a 21st century networked global society. Harvard law professor Yochai Benkler discusses the challenges of the shared and ‘on-demand’ economy. Venture capitalist partner Peter Dempster talks about the new paradigm of the ‘collaborative consumption’ and its disruptive effect upon existing economic models/paradigms. The Tragedy of the Commons: These animated videos explain the concept of the commons and how it relates to multiple wicked problems such as loss of biodiversity, pollution of all kinds and income disparity and the ability of different groups of people to adequately meet their needs. The Commons: This video is a short clip of a documentary film about communities all over the world reasserting sustainable, responsible futures using ancient commons principles. The film visits cooperatives, ecovillages, commons lawyers, Occupy activists, Internet commoners, indigenous peoples, community banks and others around the world to explore how commons work for them. What is Commoning? This video discusses how “commoning” can become a process to transform the social paradigm of our current system. In his paper for The Next Systems Project’s “New Systems: Possibilities and Proposals” series exploring viable political-economic alternatives to the present order, economist David Bollier suggests we rethink the traditional “tragedy of the commons” argument, moving instead toward new and innovative ways to equitably manage shared resources. The Peer to Peer Foundation (P2P) In this video, Michel Bauwens the founder of the Peer to Peer network explains the concept of the commons and how peer to peer sharing can be a strategy for more sustainable and equitable ways of living. In these clips, Manfred Max-Neef talks about his concept of Barefoot Economics and the ways in which our economies must transition. This video is a introduces the concept of Gross National Happiness (GNH), as an alternative Gross National Product (GDP). GNH is being used to guide policy and to assess the country’s well being and prosperity. This article from the World Economic Forum ranks countries by their ability to meet the basic human needs of their citizens. Look how it turns the rankings we are used to seeing upside down. This page contains additional resources for the Design for Behavior Change class. In the video below, CMU School of Design Faculty member Dr. Dan Lockton argues that design often discourages rather than encourages behaviour change. This page contains additional resources for the Social Practice Theory & Social Psychology discussion session. The first video is of Dr. Stanley Blue from Bristol University explaining what a social practice is and why studying how changes occur is important. The second video shows Elizabeth Shove of Lancaster University, UK discussing the relationship of Social Practice Theory to Design. The first two videos show Tim Kasser discussing social psychology research and its connection to shifting to sustainable behaviours.